Cuisinart is a well known brand in the kitchen appliance industry with their myriad of different devices such as mixers and toasters. They have 2 models of soda makers: one appliance and one siphon. The Cuisinart SMS-201BKC is the appliance model and it has garnered incredibly bad reviews. While the soda maker in itself seems alright especially for the price thanks to the carbonation handle and the removable drip tray, the exchange system is nonexistent. Cuisinart made sure that the machine could only accept their CO2 canisters. 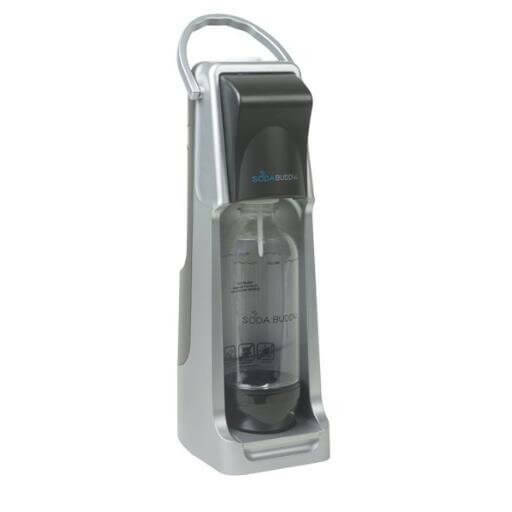 The 3 ounce ones it uses, unlike the SodaStream carbonators, cannot be refilled or exchanged at any retail locations. This means you need to buy a new one at the hefty price of $19.99 every time you run out. These cartridges can only produce a maximum of 16 liters but if you like a decent amount of fizz, it will be even less. To summarize, even though the actual appliance is decent, you should avoid it due to the extremely high cost of the refills. 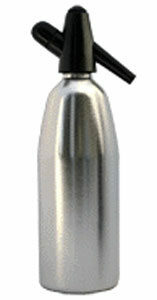 The Mosa Soda Siphon is a metallic soda siphon manufactured by Mosa, a brand that also makes cream whippers. While it is a decent soda maker in terms of specifications, it has received numerous complaints from various users that found that it did no work correctly, broke or didn’t use CO2 cartridges adequately. While the reviews do not mean you should avoid it completely, it is also nearly identical to the iSi Soda Siphon that has gotten much better reviews and is available at more retailers. Therefore, if the specifications of the Mosa Soda Siphon appeal to you, we would recommend buying the iSi Soda Siphon since it is nearly identical yet has much better reviews. 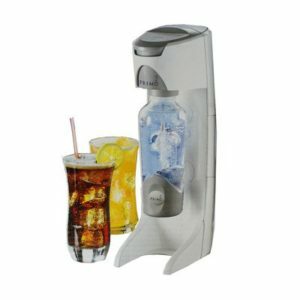 Flavorstation was a soda maker brand owned by Primo, a company that manufactures water dispensers. I say was since they have discontinued the Flavorstation brand. As such, Flavorstation appliances have become riskier buys since you might not get the customer support especially for warranties that still existing brands can provide. Also, it will become harder and harder to find replacement parts. Nonetheless, if this prospect does not daunt you, many of their appliances are still available for purchase, albeit in limited quantities, on the Amazon store. Soda Buddy has one model of soda maker that can be purchased on Amazon. Other than that and another listing on evine, they don’t have any online presence. 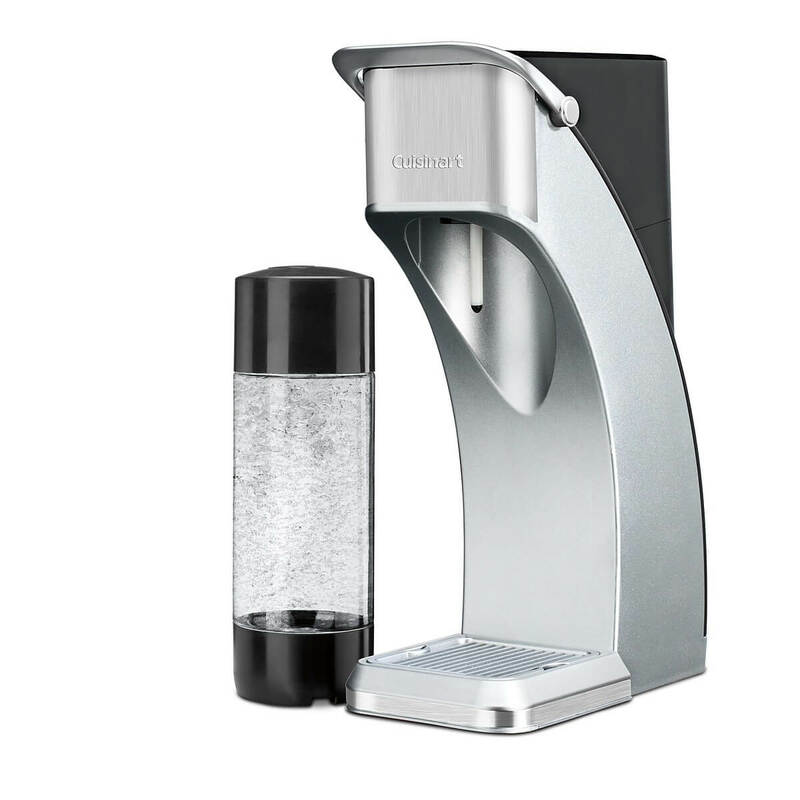 Also, their model closely ressembles the SodaStream Jet but instead of having a carbonator that you can exchange to refill, they have carbonating cylinders that can turn up to 16 liters of water into sparkling water. This leads to a much higher cost per liter than other options. On top of that, the rare reviews of this appliance are very polarized either giving 1 or 5 stars on Amazon. The one star reviews mention that theirs broke or that the cylinders only produced 5 liters of sparkling water compared to the promised 16 liters. Instead of these options, there are many other soda makers that can satisfy your cravings for delicious sparkling water. Check out these soda makers here.